Welcome to the DSRL Ginetta Junior Sprint Cup! 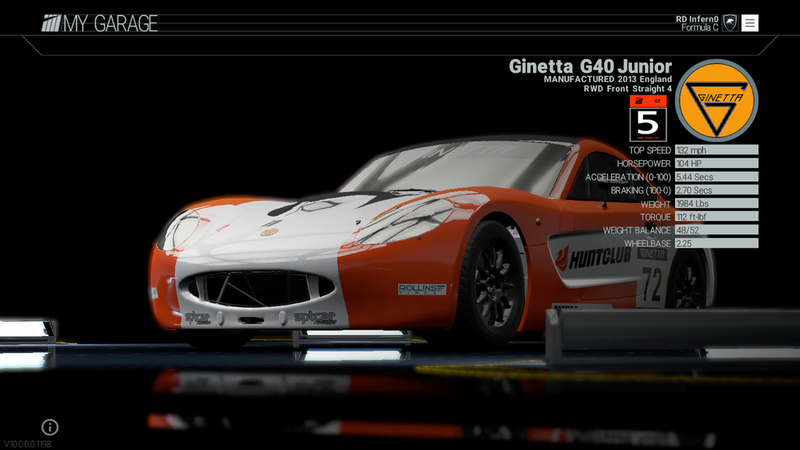 The championship is a single make championship using the Ginetta G40 Junior. It is the ideal first step for young drivers switching from karting to cars. It has become one of the most well-known models at the British Touring Car Championship weekend. track. These conditions will apply for all sessions. 15 mins Entries are put into 1 lobby until more than 14 have signed in to race. Then we will automatically split the entries into 2 qualifying lobbies. This will give us the ability to add late entries into the qualifying lobbies. 2 x 10 mins When all the times have been set, all times will be put into the live timing section. If 16 drivers or less have set a qualifying time, all drivers will be put into 1 'race' lobby. If more than 16 have set a time, drivers will be set into 'split 1'and 'split 2' in the most equal set possible e.g. split 1 = 9 drivers, split 2 = 8 drivers. 2 x 20 mins Before each race, there will be a 'split shootout' of 10 minutes. This will determine the grid order for each race. There will be a bonus point for pole in each split. Once drivers are into their 'race' lobbies, drivers will participate in 2 x 20 minutes timed races. The drivers with the most amount of laps in the shortest time over 20 minutes will be the 'split winner'. There will be two ways of registering for the Championship, either as a privateer or as part of a team of two drivers. Register here. A total of 22 privateers can register for the Championship, to register as a team, both drivers must use the same livery. Teams are able to register as freely as they wish. However, nominated drivers must be a registered member of the forum. Privateers are able to register as freely as they wish. Once the livery is picked, a Privateer cannot team up with another driver if they ran a race already. There will be 3 championships to compete for in the DSRL Ginetta Junior Sprint Cup: Drivers, Teams and Privateers. Points will reduce by 1 point by all following positions. An extra point will be awarded for the race winners of lower lobbies e.g. lobby B, C.
Team scoring will be based of the addition of the individual points of both drivers. There will be 4 dropped races from this championship for drivers, making your best 12 scores count towards the championship. So if you attend every race meeting, your worst 4 race scores will be dropped and your total then decided from the total of other race scores. If you do not attend a meeting, then both races will be a drop score until you miss more than 2 races, in which case you will receive a 0 score and it will count towards your championship total. Report incidents and/or corner cutting or overly defensive swerving/blocking immediately after the race to the Mods. SAVE THE REPLAY! Or RECORD THE CLIP. We may not be able to see the incident from our perspective. doing this repeatedly/deliberately will be penalised, either in points or by exclusion from the ongoing championship. DO NOT hesitate about reporting, it will be confidential and will make the racing here cleaner, therefore better and more fun! We may need you to make and upload a clip. It's the responsibility of the person overtaking to ensure they make a clean pass! If you do hit someone (we appreciate accidents do happen! ), make sure you give them the spot back. If you feel that you were a victim of unsportsmanlike behaviour or intentionally taken of the track. Please present footage of the incident in question to the organisers within 24 hours of the end of the event. Any inquiries will be, at best, closed and penalties applied before the next event. Driver loses his connection to the lobby? At the start of the next heat he will start from the back. In case of multiple DNF's or DNS's this is sorted by the host (faster driver starts at the back). Please make sure your connection is fine and your ports are forwarded (even if your connection acts fine). Try www.speedtest.net, your ping is the most important (lower=better, generally below 50ms). We request that there will be no broadcasting through Twitch. This is to aid the quality of lobby connections. Calendar updated with the in-game race times.